Born in the south of Brazil, and ordained in the Lutheran church in Brazil (IECLB), Vítor Westhelle was invited to be a member of the faculty of the Lutheran School of Theology at Chicago in 1993. He responded to the call as a missionary of Church of Lutheran Confessions of Brazil. After having served as an associate professor for 5 years, he was promoted to full professor in 1999. Before joining LSTC, Westhelle taught at Escola Superior de Teologia, Brazil (1989-1992). 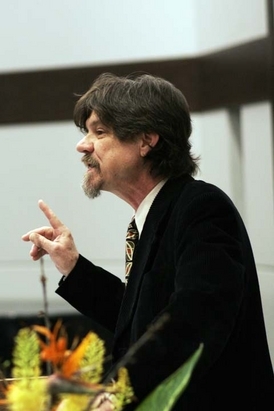 Prior to that, he was on the faculty of Luther Northwestern Theological Seminary from 1982-85. He also served on the visiting faculty of the Gurukul Theological Seminary, Chennai, India, the University of Natal, South Africa, and the University of Aarhus, Denmark. Currently he is also the chair of Luther research at Escola Superior de Teologia, Brazil and spends the spring semester in Brazil fulfilling his responsibilities the chair holds. In September 2010 Westhelle was invited to be the honorary professor of theology at Aarhus University, Denmark for a period of 5 years. Westhelle began his theological career as a journalist for the national church newspaper in SãoLeopoldo, RS, Brazil (1975-76). From 1985-1988, he not only served as pastor of a 13-point parish in Paróquia Evangélica de Matelândia, PR, Brazil but was also the Coordinator of the Ecumenical Commission on Land in Paranã that was involved in enabling and accompanying those struggling for land and justice. After studying Sociology at UNISINOS, Brazil, he entered theological studies at Faculdade de Teologia da IECLB in 1977 to earn B.Th. He then received the Th.M and Ph.D. degrees from the Lutheran School of Theology at Chicago, in 1984. Westhelle also undertook graduate studies at the University of Chicago, Chicago Theological Seminary and Jesuit School of Theology, and did post-doctoral work at the University of Tübingen in 1995.